You hop into bed with your significant other, cuddle up close, and wait for the oxytocin, the cuddle hormone, to do its magic. With your head laying on your mate's chest, listening to the beat of his heart, you're fully expecting him to say something loving and sensitive. However, much to your chagrin, you hear him say, "OMG, don't put those icebergs on me!" If you have varicose veins, it may be that varicose vein treatment could cure your iceberg feet problem and perhaps improve the intimate time you have with your lover too! Varicose veins are a symptom of poor circulation, as are cold feet, and swelling in the ankles and legs. When you go in for an evaluation to determine if you need varicose vein treatment, your vein doctor will do a procedure called duplex ultrasound, also called doppler ultrasound. Just like the ultrasound that a woman has when she is pregnant to check on the growing fetus, ultrasound on your veins will give your vein doctor a high resolution picture of what's going on inside your veins. Additionally, it will show your vein doctor how your blood is flowing in your veins, both the direction of flow and the speed of flow. Duplex ultrasound will detect whether or not the blood is flowing at a regular speed. It will also detect if you have venous reflux. This is where the blood flows backwards, at least part of the time! If this is happening, your vein doctor can then search for the cause of the venous reflux. Usually, it is one or more vein valves that are not functioning well. These valves are supposed to open as the blood flows back to the heart, against gravity, but close in the opposite direction to not allow the backward flow of blood. If these valves are damaged, the flow of blood can slow dramatically and the blood will pool, causing swelling in your legs, ankles, and feet. When this happens, it's a vicious circular problem because the swelling can put pressure on your veins and slow the blood flow even more! 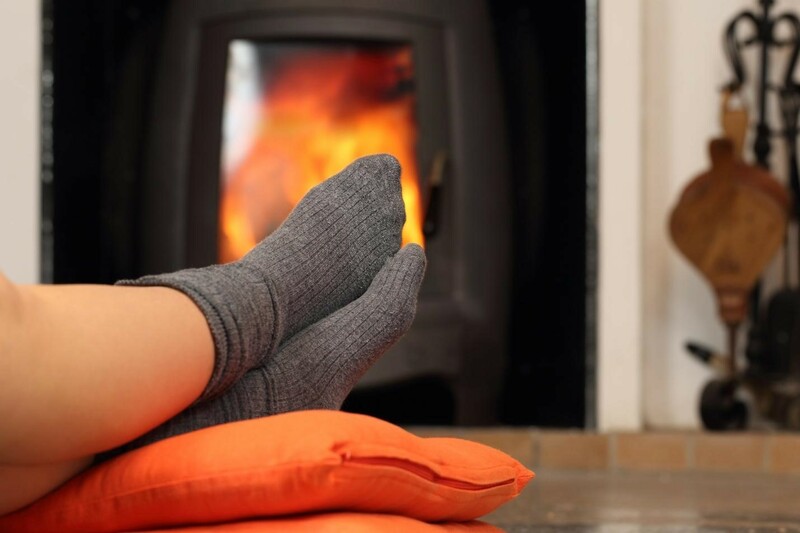 When your blood flow is slowed in your legs, ankles, and feet, they will tend to get cold. However, to know for sure if this is the problem, you'll need to visit a varicose vein clinic, like Metro Vein Centers, to have the duplex ultrasound test done. One nice thing about this particular test if you have cold extremities is the warm gel they apply to the paddle before they run it over your skin. If only you could have one of those at home before you crawl into bed with your partner! If damaged vein valves are preventing your blood from flowing normally, then yes, varicose vein treatment can indeed help cure your cold feet. Treatments like sclerotherapy varicose vein treatment and EVLT (endovenous laser therapy) are relatively simple and don't involve much pain during the procedure or after the procedure. So, if your insurance will cover the varicose vein treatment, the cost will be relatively low to cure your iceberg feet! While we don't want global warming melting the real icebergs, we do want varicose vein treatment, if appropriate, to "melt" your iceberg feet. We also assume your partner would agree. To get a free evaluation to determine if your varicose veins are causing your poor circulation, call Metro Vein Centers and schedule an appointment at your earliest convenience. You do not need a referral from your doctor or your insurance company to get the free evaluation at Metro Vein Centers. You should note too that varicose veins, or poor circulation, are not always the cause for cold feet. Another common cause is neuropathy, which is a type of nerve damage in the extremities. Neuropathy is often associated with the advancement of type 2 diabetes but not always. However, if neuropathy is the sole cause of your cold feet (cold to you), they will not feel cold to someone else's touch. However, neuropathy and poor circulation can also coexist, so you really need to go to a varicose vein treatment clinic and get the duplex ultrasound to know for sure. In the meantime, walking, foot exercises, leg exercises, and deep breathing exercises can all help improve your circulation. Getting more vitamin D from the sun, or from foods like fatty fish and eggs from pastured chickens, can also help improve your circulation. Hot foods like garlic, onion, ginger, curry, and cayenne pepper will also improve the circulation. If you smoke, try to stop because smoking constricts your blood vessels and will cause poor circulation and cold feet.